You’ve set up your practice Facebook page properly and gained some followers, but it doesn’t seem to be producing many new patients. What’s going on? Setting up a Facebook page, while discounting other online assets, isn’t an effective marketing plan. To turn Facebook into an impactful promotional campaign, it takes an integrated strategy and a persistent mindset framed with reasonable expectations. Sure, Facebook can generate new patients. But it’s not your sole source for marketing. In fact, it’s not even your primary source. Far from it. For years, we’ve been collecting data on our clients’ websites. This helps us monitor the impact of different online marketing strategies. With the Perfect Patients New Patient Tracker, we’re able to measure the most important website performance metric: The number of new patients being produced. In doing so, we can see which sources most effectively drive new patient growth. Our findings show that Facebook is the low man on the totem pole. After studying the new patient journey of 32,000 new patients across the Perfect Patients network, a mere 1.8% of new patients began their journey with Facebook. Such glaring data debunks the myth that social media is a primary driver of new patient growth. So what is the number-one source for getting new patients online? Google. This is where most prospective patients search for healthcare providers. They’ll search something like “chiropractor in Chicago” to find a list of practices located near them. They can then browse through a number of websites to find the chiropractor they feel most comfortable visiting. Facebook can attract new patients, just in a different form – generally in the form of referrals. Have you ever asked for a recommendation on Facebook? Something like, “Hey, I’m looking to renovate my kitchen. Does anyone know a good contractor?” The new patients you get from Facebook typically come from your existing patients, not from prospective patients who have never heard of you. In addition to referrals, Facebook helps improve patient retention. By posting regularly on your page, you stay at the top of your patients’ minds throughout the year. In turn, your social activity serves as a reminder for them to schedule their next appointment. Facebook builds a sense of patient community. But only if you build it the right way. Authenticity is essential. This is why most of your Facebook marketing should be done in-house. While an outside source can provide ideas and support, only you (or a staff member) can represent the personal flair your patients want to see. This personal touch will help stimulate referrals and keep your practice in the mind of existing patients. You’re at the mercy of Facebook. While Facebook is unlikely to disappear anytime soon (or ever), nothing is stopping them from making changes. In fact, they’ve already made significant changes. Businesses now need to spend money on Facebook for most people to see their posts. You’re limited on content. Facebook limits interaction by permitting only snippets of copy at a time, whereas your website gives you plenty of space for compelling content. A few sentences with an image aren’t enough to establish trust with prospective patients who have yet to hear about you. You’re limited on analysis. While Facebook does offer insights into how your page is performing, it has limitations. 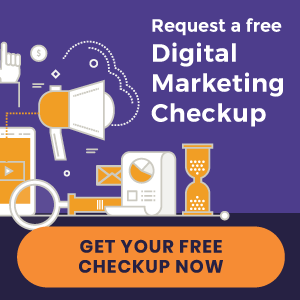 The options aren’t nearly as powerful as what’s available for tracking website traffic and patient reach on a website that you own. Facebook and Google are quite different and are most effective when utilized together. Creating awareness on Facebook has different advantages and requires a different approach than promoting your practice through search engines. Both are important in their own unique ways. 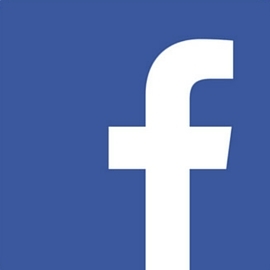 Look at Facebook not as a replacement for, but rather an extension of your practice website. Your website is your marketing hub. It is your property, which means you have control over it. A practice website gives you the opportunity to describe your services and tell your story in a compelling way. As a bonus, your site can be optimized for search engines. Your Facebook page must cohesively align with your website, and the branding should be consistent. While your website and social profiles are separate entities, they should have a similar look and feel. On your website, you can send visitors to your Facebook page, where they’ll see that you’re active and engaged with your followers, further supporting the conversion process. In this day and age, prospective patients want to scope out your social vibe before making a commitment. Meanwhile, existing patients want to see your passion for natural healing – that you believe in the chiropractic care you provide for them. Facebook allows you to relay this message in a fun, nurturing way. Want to learn about getting new patients through other online marketing strategies? Download our free eBook below for 10 actionable steps for growing your online presence.